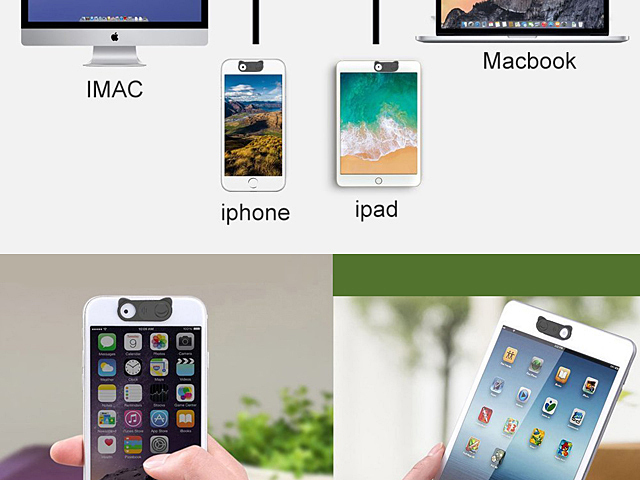 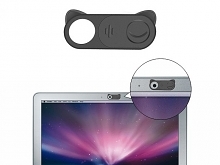 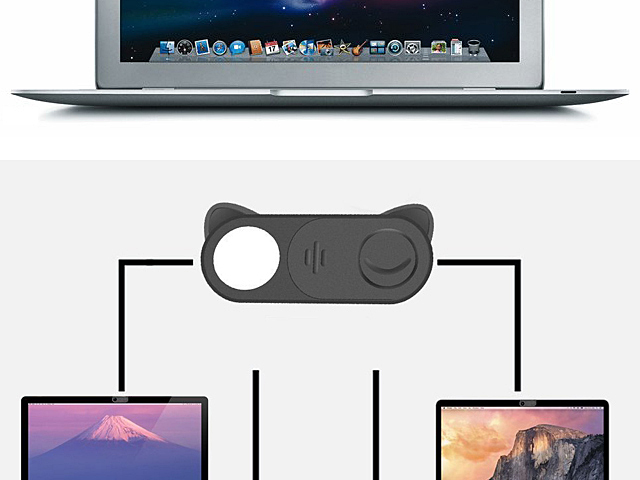 Webcam Lens Cover for your privacy, prevents hacker to hack in your devices to see your private life. No need to remove the lens cover if you need to take a selfie, have a video chat or video conference, just simply slide the window will do. 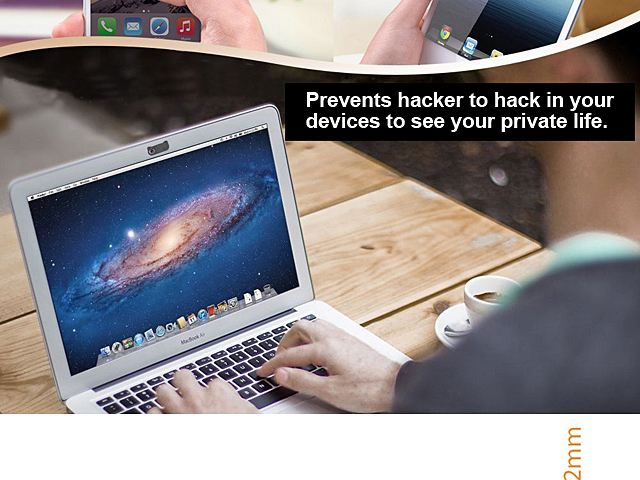 Ultra thin thickness works with all laptops, so they will go into sleep mode perfectly if you close up the laptop. 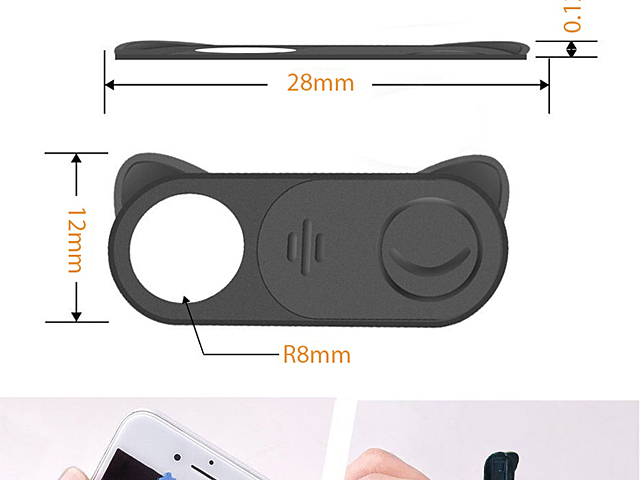 Fits lenses of Smartphone, tablets, computers, laptops, monitors, etc. 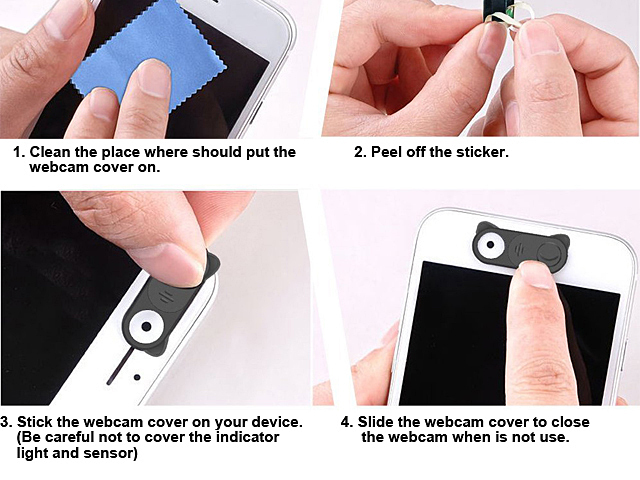 Just tear off the tape and stick the cover on the lens position.